You didn't. Mattias, you didn't. 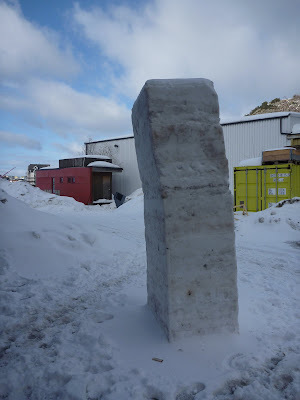 The snow sculpture was a part of my classmate Mattias' work in Visual structure. 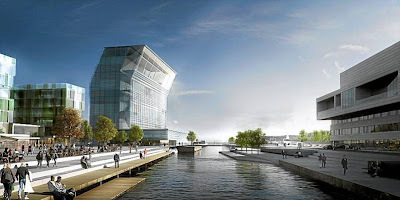 Below, a picture of the old-fashioned, absurdly tall and rather stupid Munch museum that may be built next to the Oslo opera house. It won the contest, although it was the only contestant breaking the limitations in the program. I guess the project, drawn by Herreros Arquitectos and with a design more or less recycled from a tower block they built in Las Palmas, won because it was the project with most commercial space. Why can't they keep the Munch museum where it is, you ask? I have no idea.